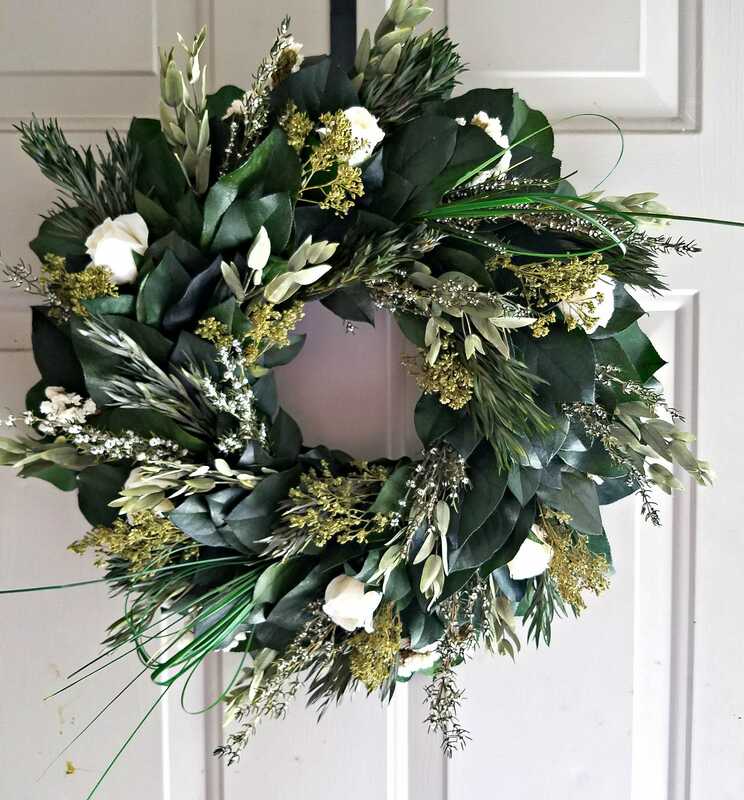 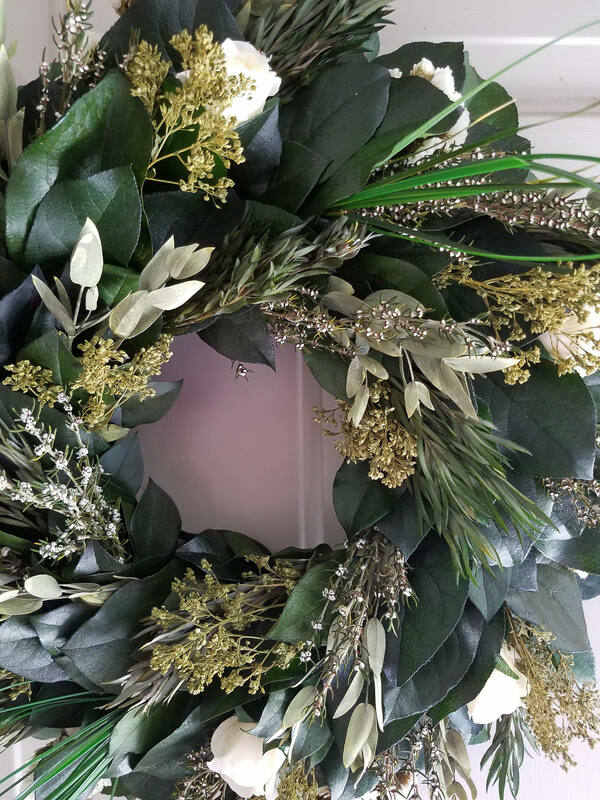 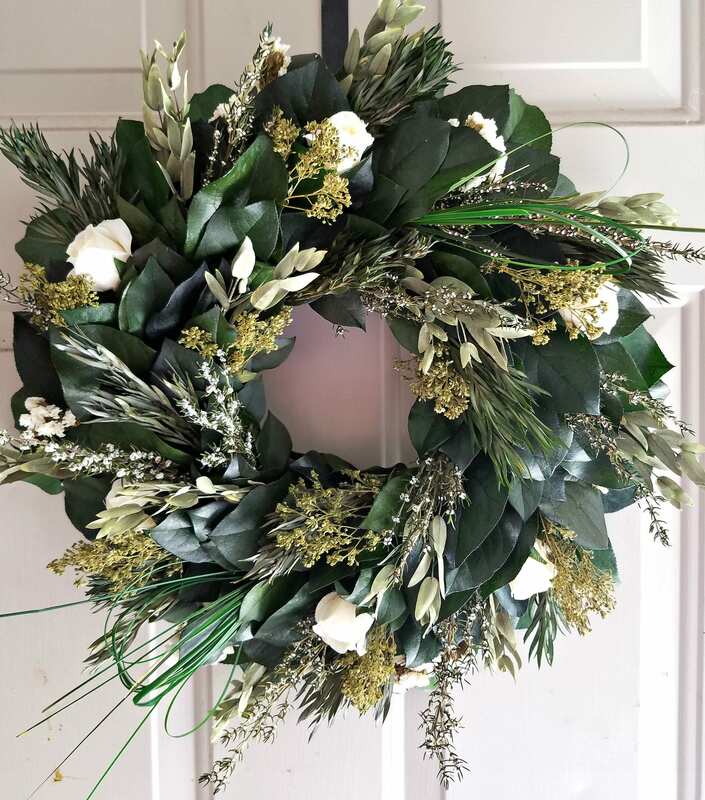 Preserved leaf wreath is made with preserved natural green preserved leaves which will remain green for several year. 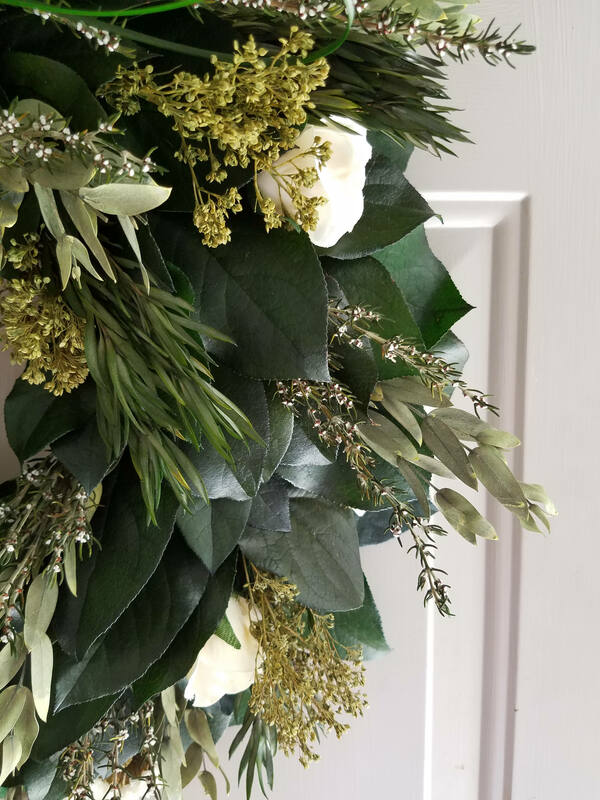 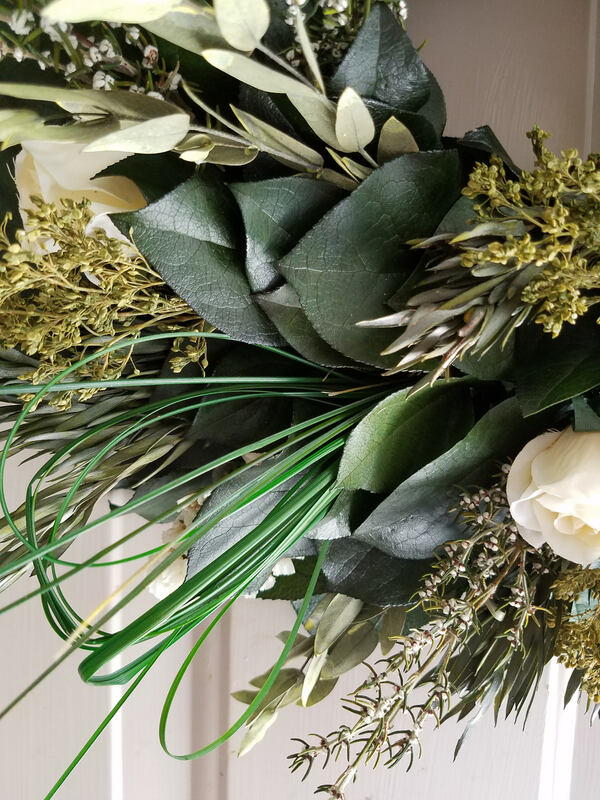 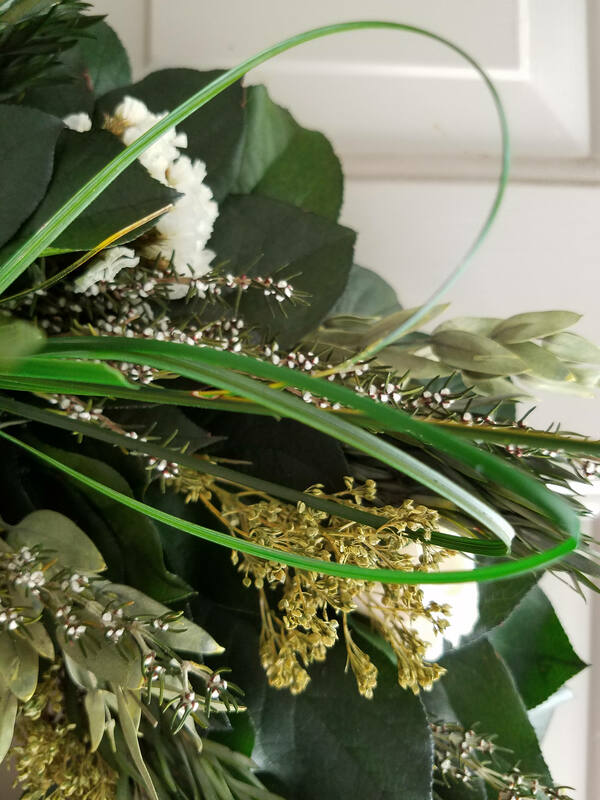 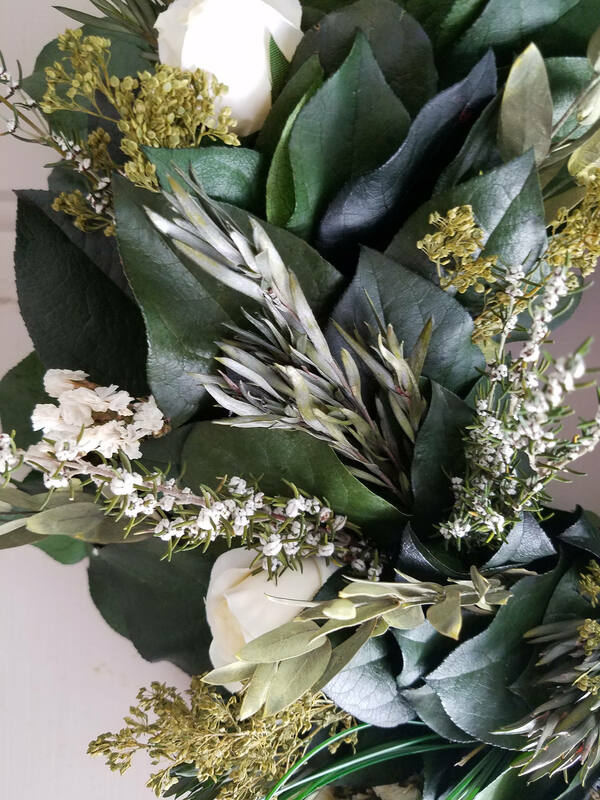 It is decorated with cream (silk) roses/ or preserved roses for an upcharge, moss colored sesame bloom, preserved salginum, chartreuse colored teardrop eucalyptus, white grabia flower, and looped bear grass. 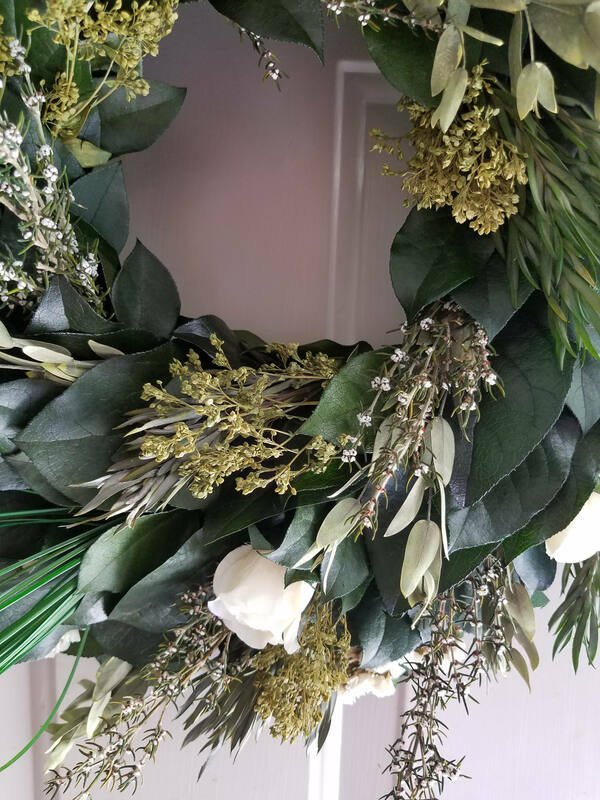 The wreath is made on a Styrofoam base which has been reinforced and then wrapped in floral ribbon..